FCA Canada says the previous Jeep Compass and Patriot models sold well, but needed to be replaced. They were built on the Dodge Caliber platform. The new Compass, pictured, replaces both. SAN ANTONIO, TEX. — Having never offered a compact sedan, Jeep now finds itself well poised in a market that’s moving away from them. The new 2017 Compass, Jeep’s final vehicle to be made over since Chrysler’s 2009 bankruptcy, replaces both the current Compass and Patriot models, slotting into the lineup between the smaller Renegade and the larger Cherokee. The Compass and Patriot “sold well in Canada, but they needed to be redone,” said Mike Szymkiewicz, senior manager of product strategy and volume planning for FCA Canada. Built on the Renegade’s Fiat-based architecture, the Compass is completely new other than its name. “We had two nameplates in the same space for the same customer, and this will help rationalize the showroom a bit,” Szymkiewicz said. 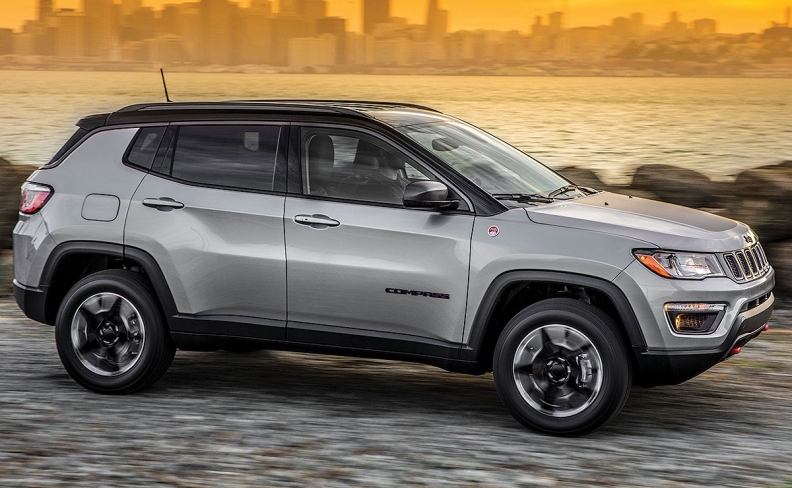 While the size difference among the Compass, Renegade and Cherokee is minimal, Szymkiewicz expects more conquest buyers for Compass than those moving from the other two Jeep models. “The Renegade is more of a young urban buyer, while 80 per cent of Cherokee buyers go with the V-6,” Szymkiewicz said. “There’s quite a bit more power and it’ll tow 4,500 pounds (2,050 kilograms), and people want that. From just over 40,000 vehicles in 2012, Jeep sales rose to 83,000 in 2016. Compact utility vehicles are now the fourth-largest segment in Canada, and SUVs overall are outselling cars.